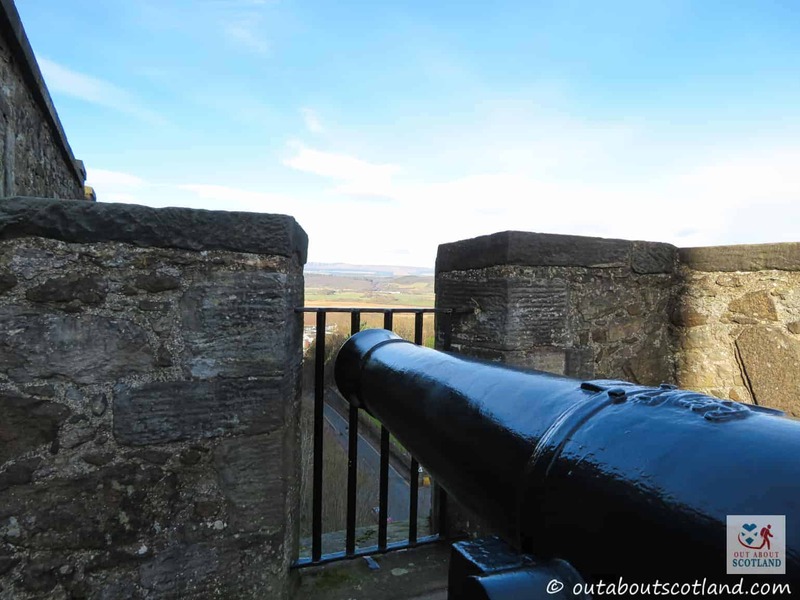 Stirling Castle sits proudly on top of Castle Hill, the enormous rock formation that can be seen from all directions in this lovely part of the Stirlingshire countryside, and for hundreds of years it served Scotland both as a defensive military position and as a royal palace. 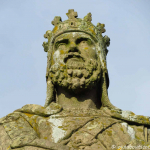 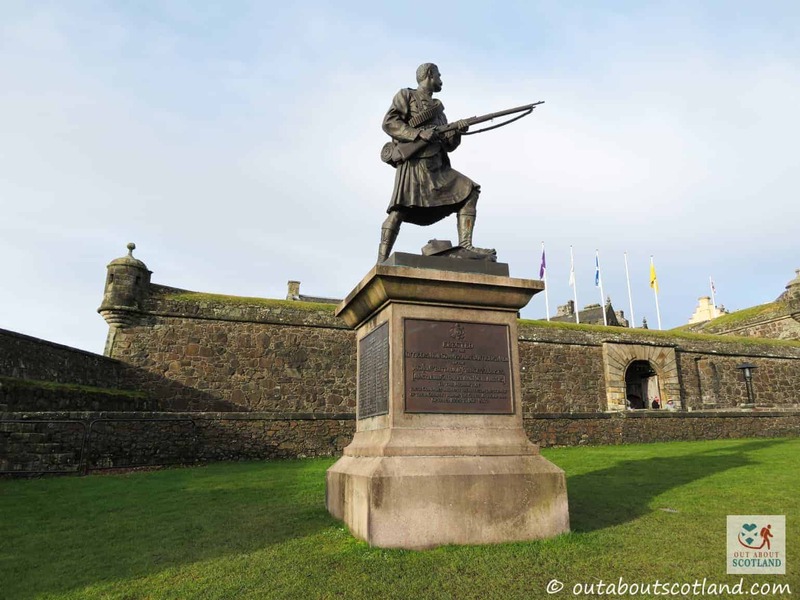 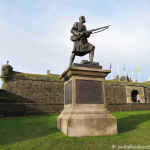 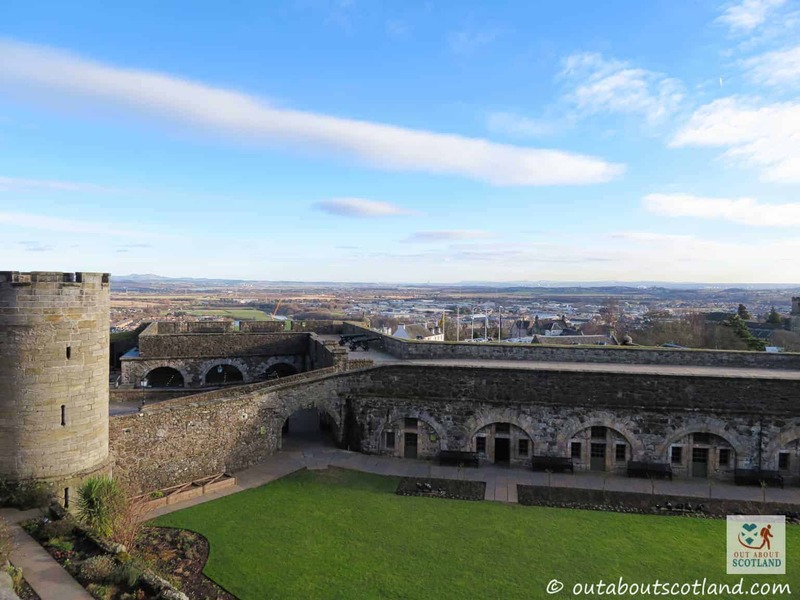 Robert the Bruce liberated the castle from the English in 1299 and Mary Queen of Scots was Crowned there in 1542, and a visit to this historic site will take you on a journey to discover both of these important events and many more. 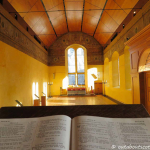 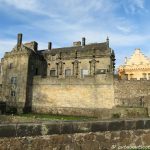 This castle is drenched in history with many of the still-intact buildings dating from the 15th and 16th centuries, but its story actually begins in the early 12th-century when King Alexander I established a chapel on top of Castle Hill. 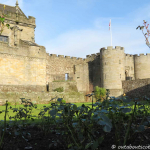 From these humble beginnings a fortress was constructed on top of the hill which eventually transformed into the castle that we see today, and many of the existing sections date as far back as the 1300s. 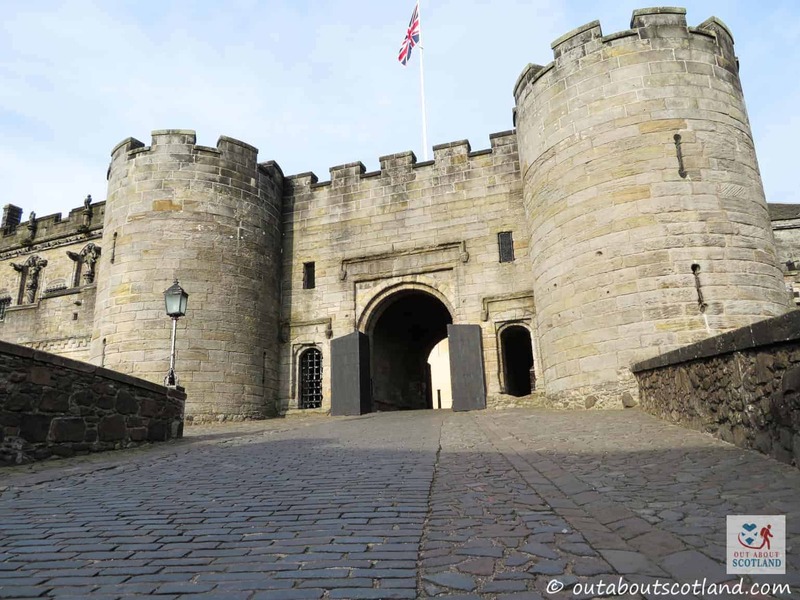 If you really want to see a large part of Scotland’s history in one place then Stirling Castle is an attraction you should definitely visit. 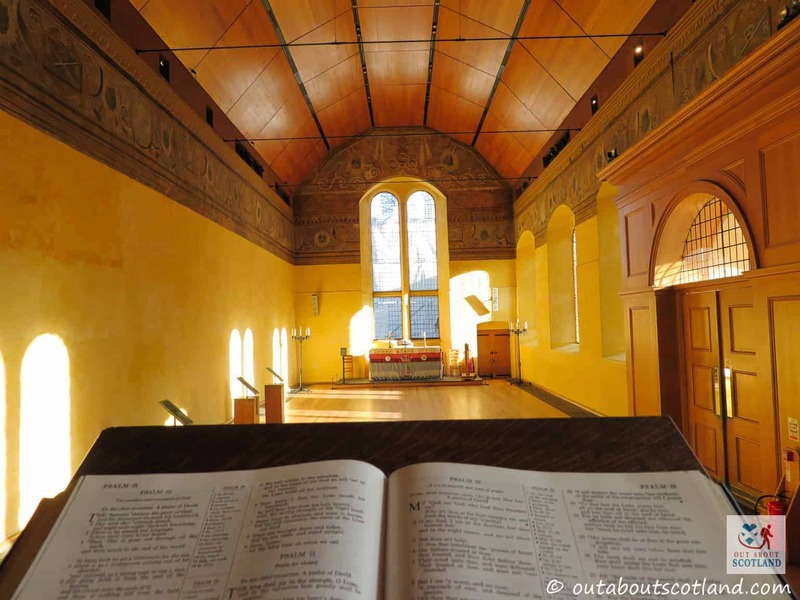 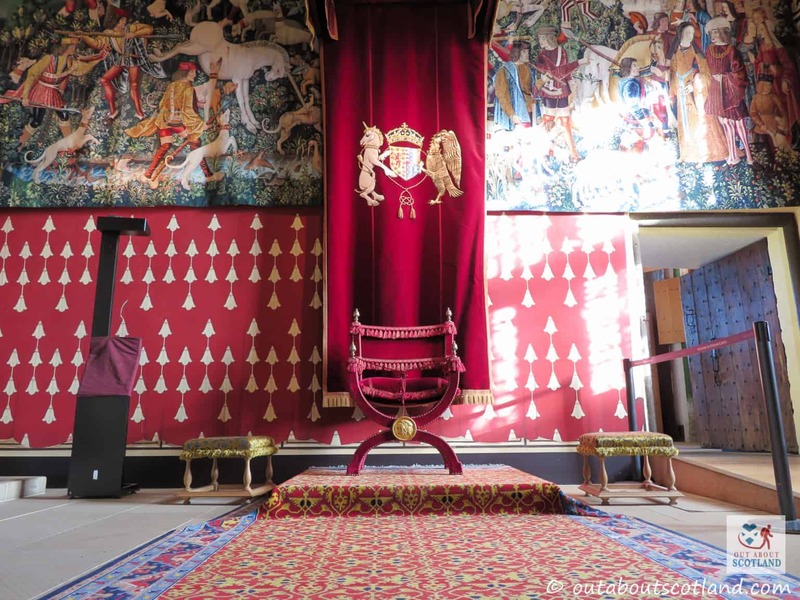 There are a lot of reasons to visit Stirling Castle, whether it’s to soak up the atmosphere or learn a bit about its history. 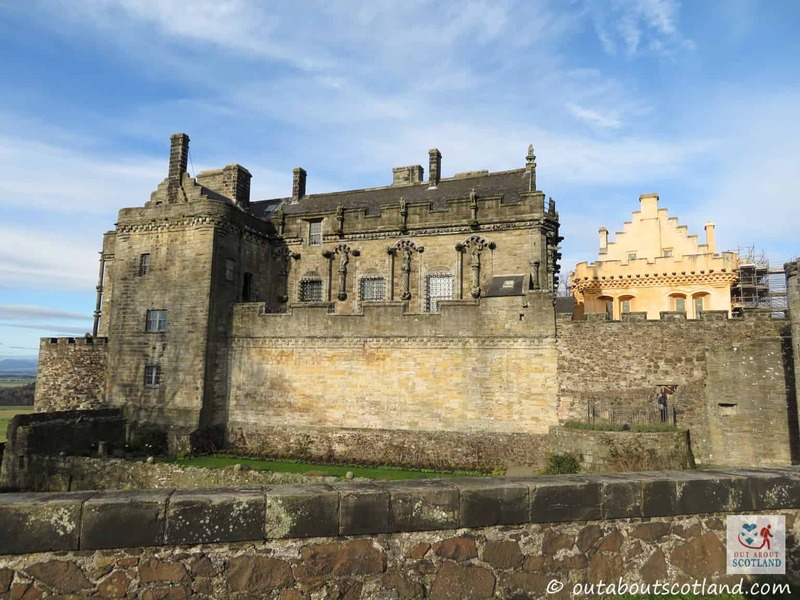 If you come for the history you can take part in a guided tour with one of the knowledgeable guides (which I totally recommend if you really want to learn about the castle’s past), but if you’d rather take things at your own pace you can easily pick up a portable audio tour (available in several languages) and follow its directions instead. 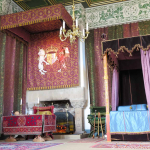 If you prefer other activities there are plenty of events going on throughout the year such as the recreation of a royal Christmas in December and various battle re-enactments during the summer. 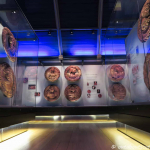 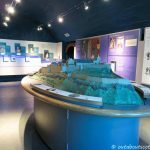 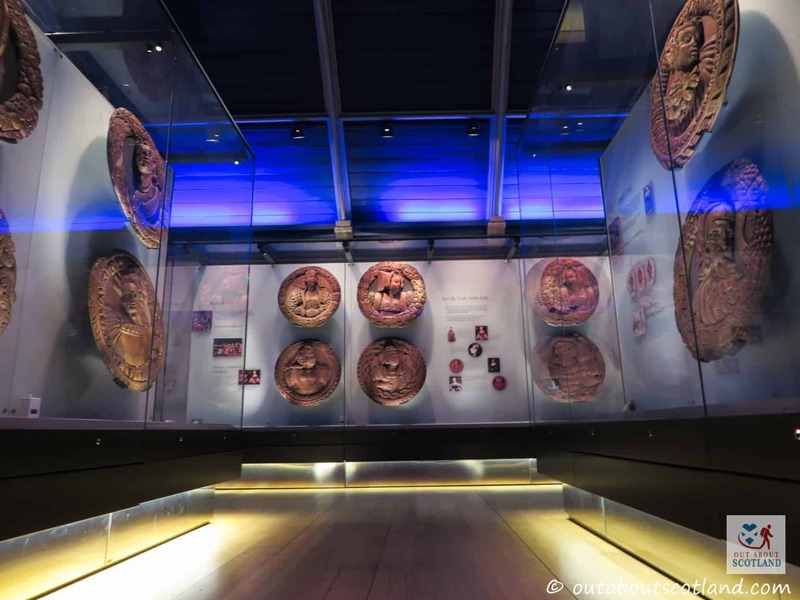 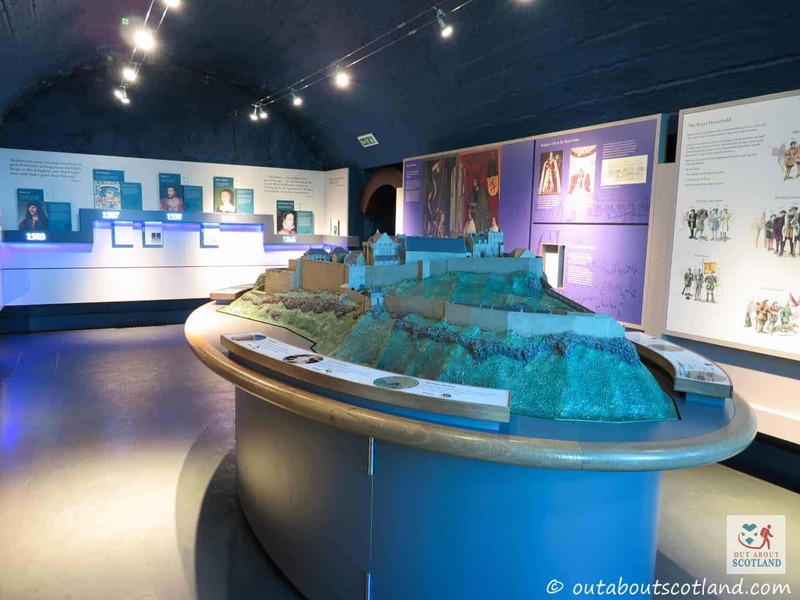 There are lots of interactive exhibitions to enjoy too, with the palace vaults being designed for younger visitors and the castle exhibition explaining the history of the castle from its earliest times to the present day. 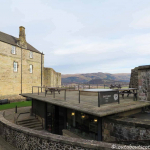 And if all that isn’t enough to keep you occupied there’s a regimental museum on the site that celebrates and commemorates the battles of the Argyll and Sutherland Highlanders, or you can relax in the Queen Anne gardens (if the Scottish weather allows…), and there’s a cafe to sit down and take a rest with lovely countryside views from a rooftop patio. 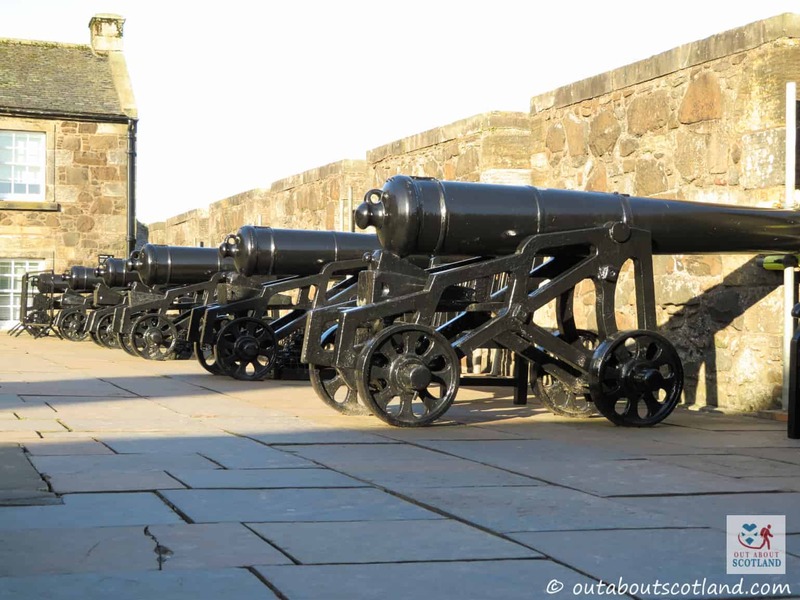 And as always with Scotland’s tourist attractions you can pick up a souvenir or two from one of the attraction’s gift shops. 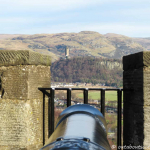 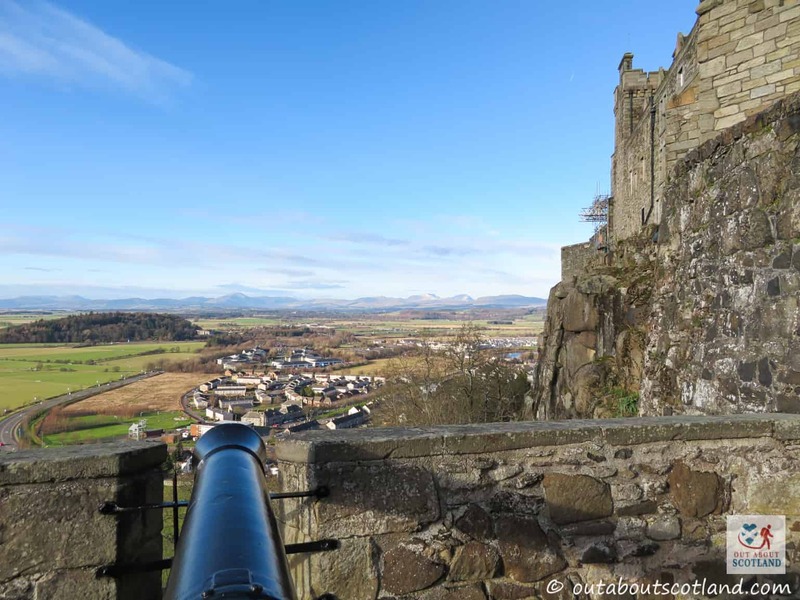 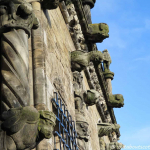 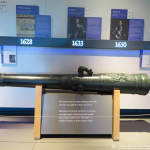 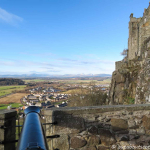 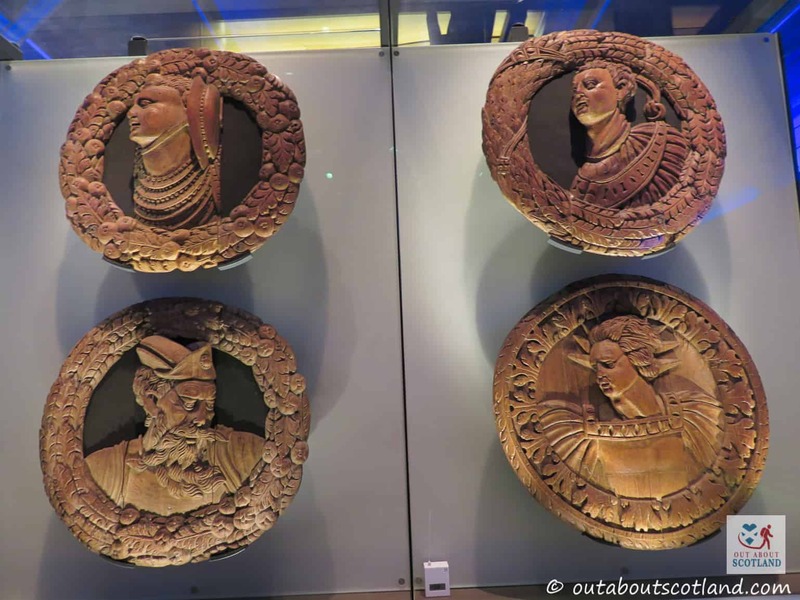 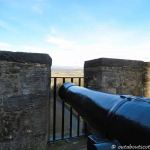 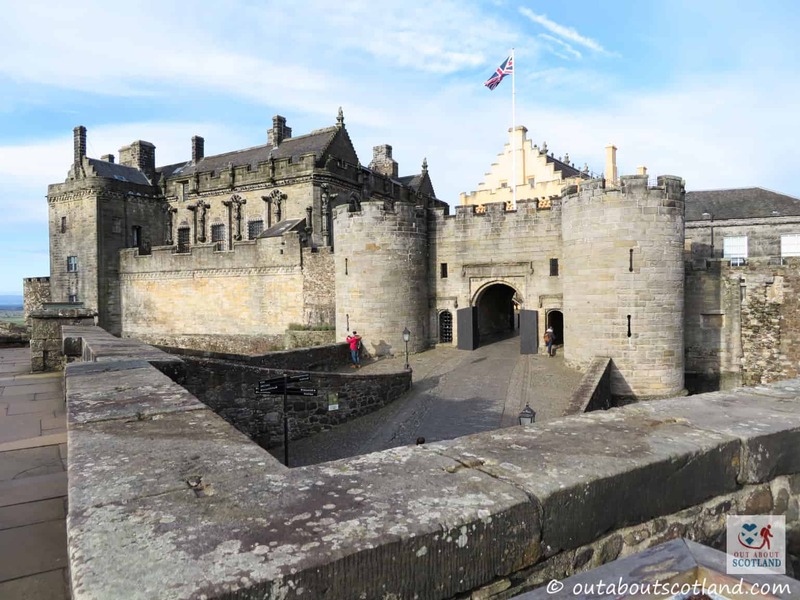 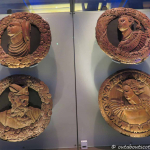 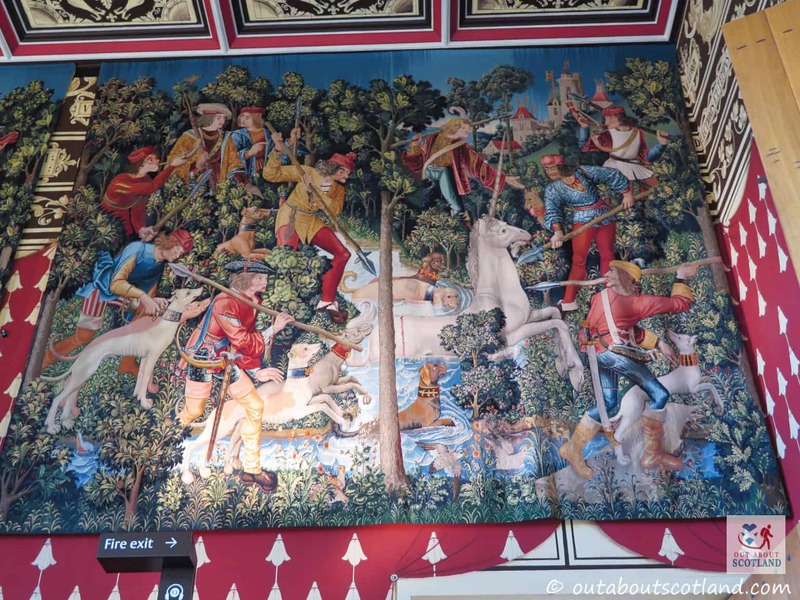 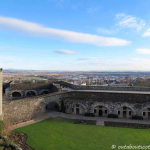 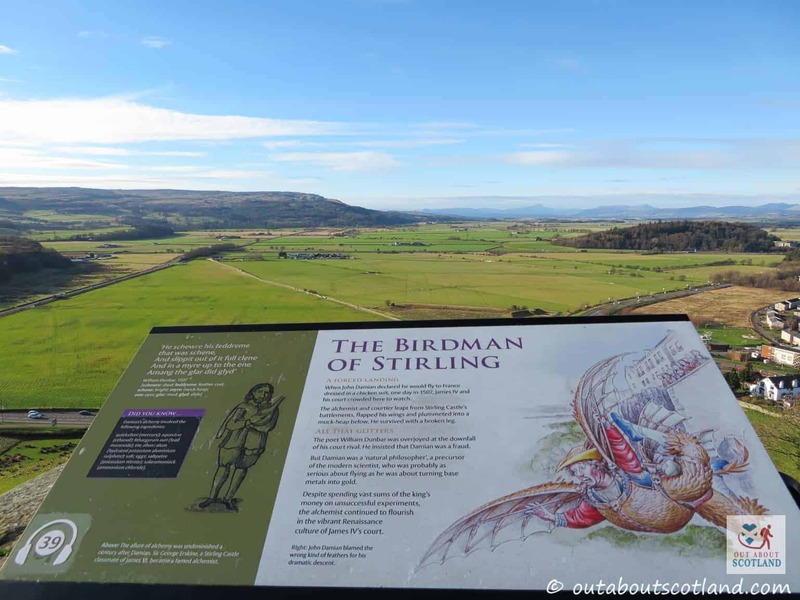 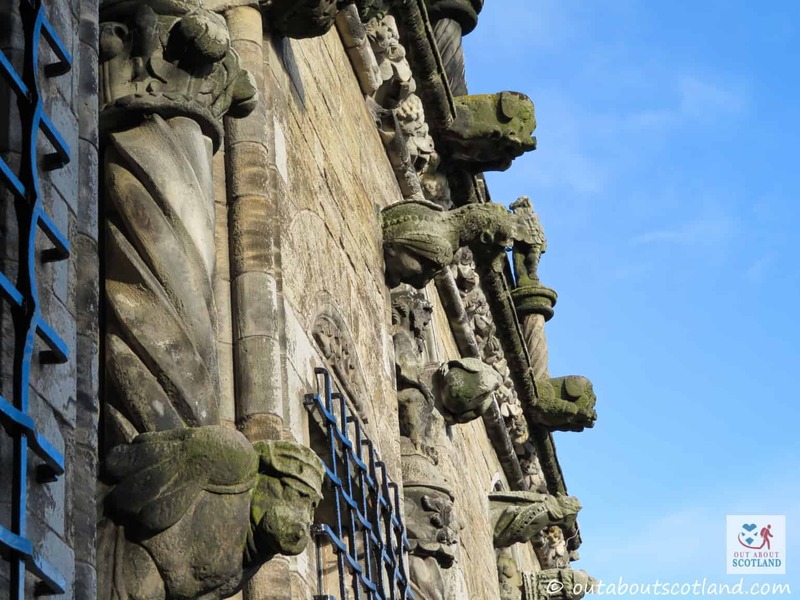 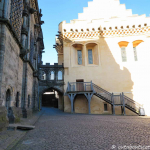 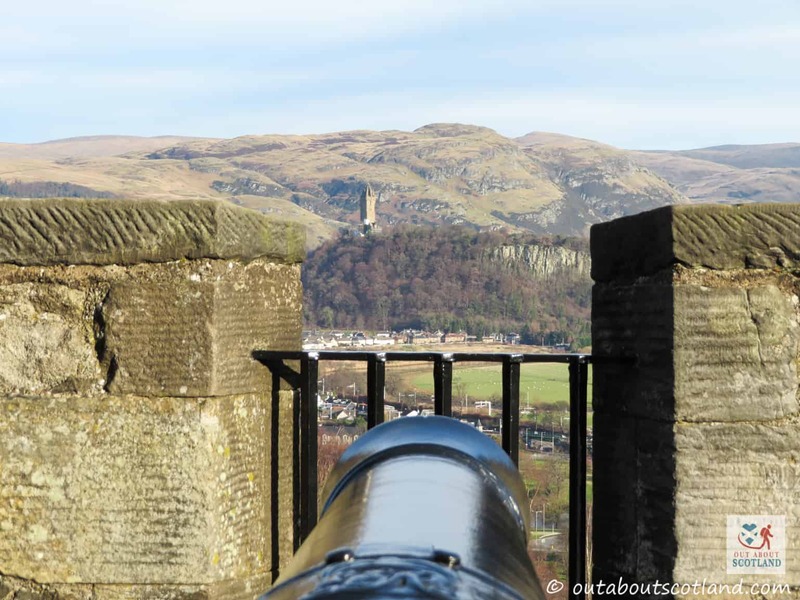 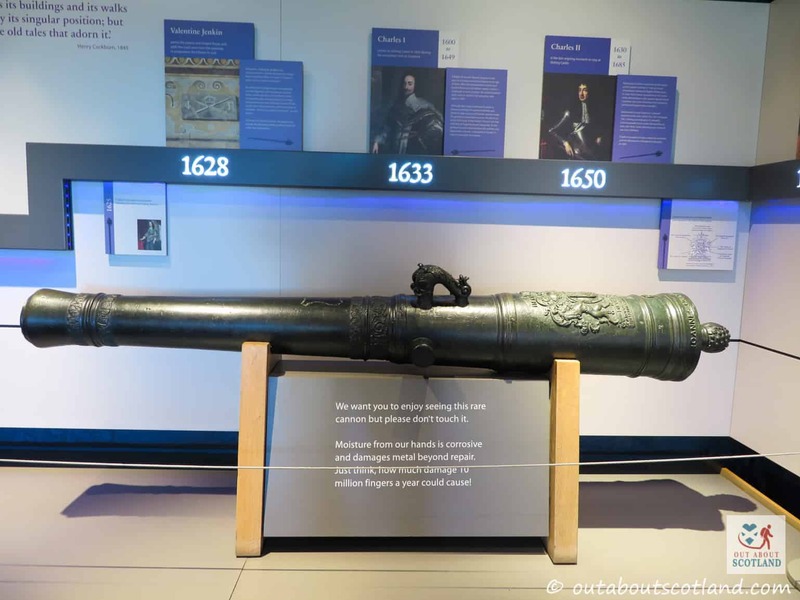 There’s so much to see and do at Stirling Castle that it more than justifies the entrance price, and if you’re in the Stirling area I totally recommend you take the journey to experience this fascinating glimpse into Scotland’s history. 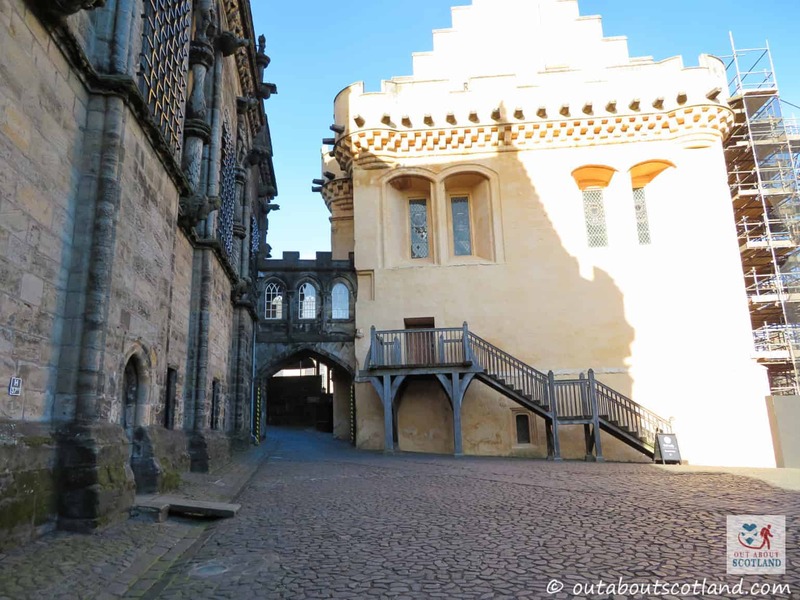 As soon as you walk up to the main castle esplanade you can’t fail to be impressed. 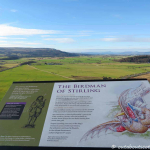 It just dominates the skyline, and as you walk towards the entrance you begin to understand why this place was chosen to be the seat of royal power for hundreds of years, and the statue of Robert the Bruce overlooking the Stirlingshire countryside only reinforces how important Stirling Castle was to the Scots nation. 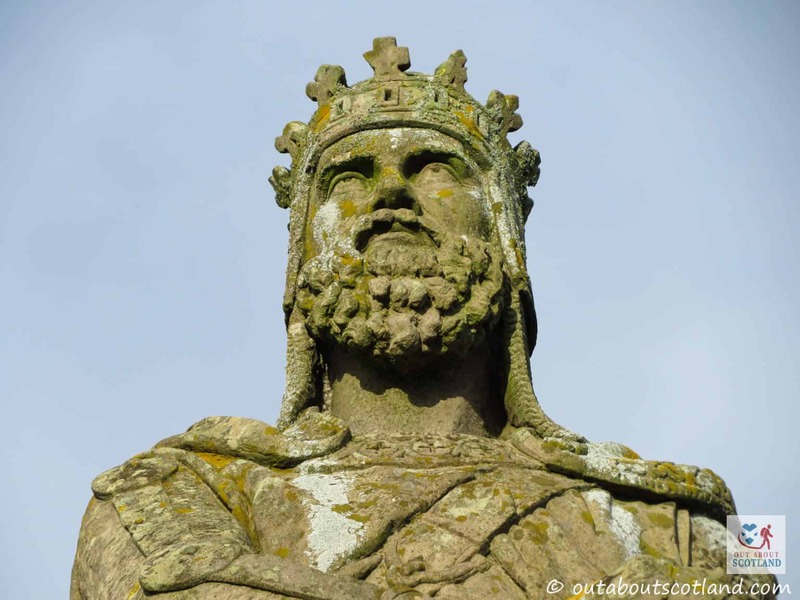 Although King Robert is most famous for his victory against the invading English forces at the nearby Battle of Bannockburn it was his descendants Robert II and Robert III who began building the mighty fortification that we can still see today, with much of the defensive walls built on the foundations that they laid during the late 14th-century. 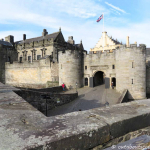 But it was the building works ordered by James IV over 500 years ago that turned Stirling Castle into one of the finest royal palaces in Europe. 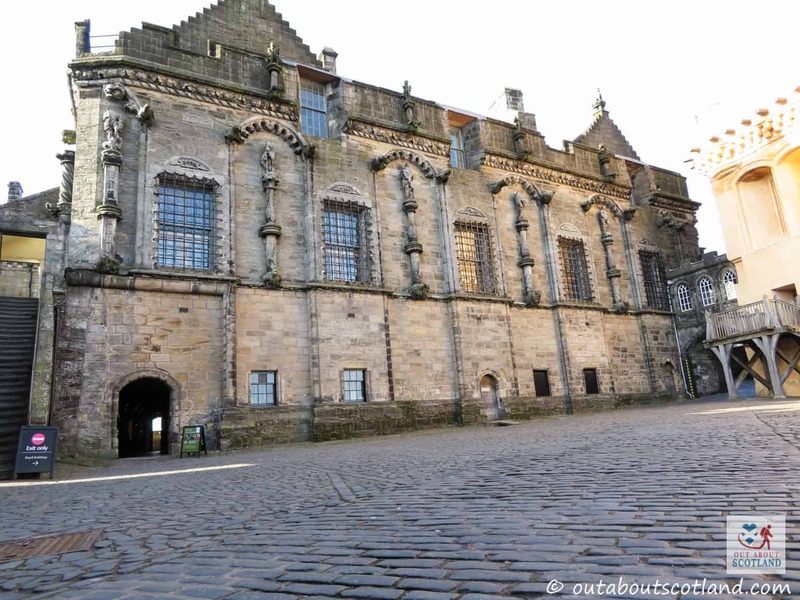 Built in the Renaissance style, the Royal Palace, including the Great Hall, look more like the buildings you’d expect to see in Rome or Paris than the imposing defensive fortifications you’ll find elsewhere in Scotland like Edinburgh Castle. 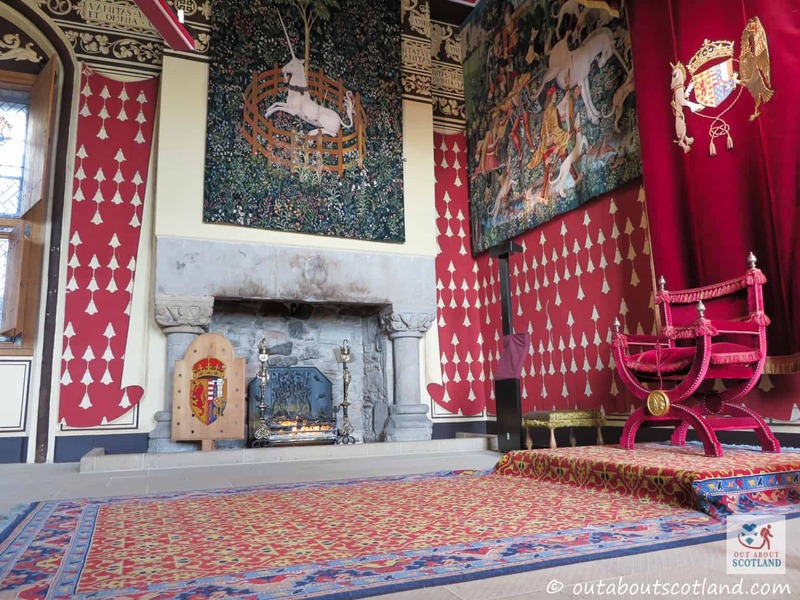 The Great Hall in particular is well worth exploring, with the Royal Gold harling that covers its exterior making for a fantastic backdrop for photos as you stand in the castle’s main courtyard. 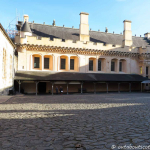 Heading inside this magnificent banquet hall you’ll discover huge windows illuminating a gigantic room which would have been kept cosy even in the middle of winter thanks to the five large fireplaces built into the walls. 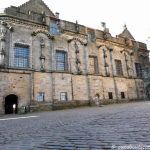 There are even galleries for minstrels and trumpeters inside, and you can only guess as to how lavish the dances and feasts must have been when they were held there. 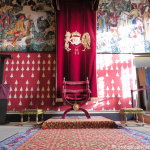 The Royal Palace is another highlight which instantly transports you back to Scotland’s royalty in the 1500s when King James V was in power. 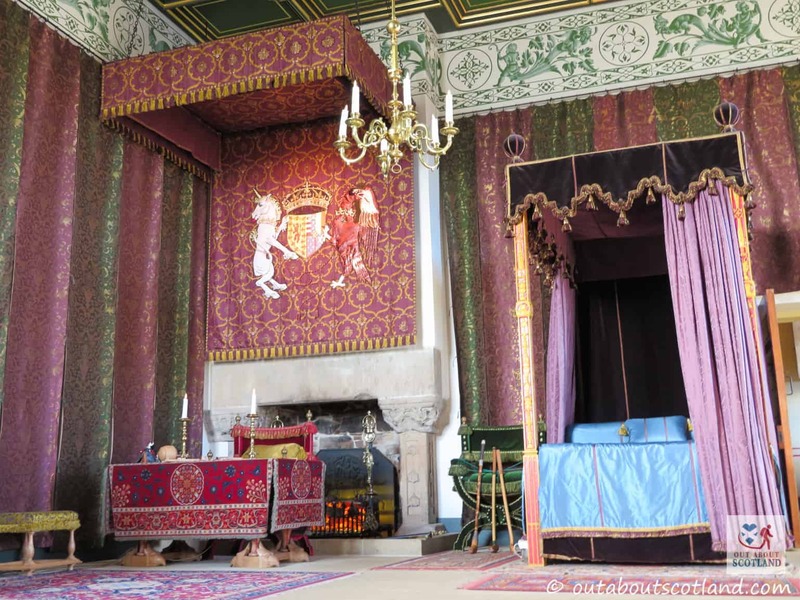 It’s in this building where Mary Queen of Scots spent most of her childhood and it’s clear that she’d have enjoyed a fair amount of luxury, even by modern standards. 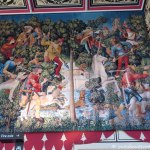 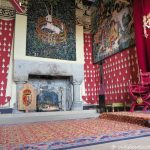 Brightly coloured tapestries cover the walls (now faithfully restored to their former glory), with period paintings and original furniture giving you a real glimpse into the life of Scottish royalty. 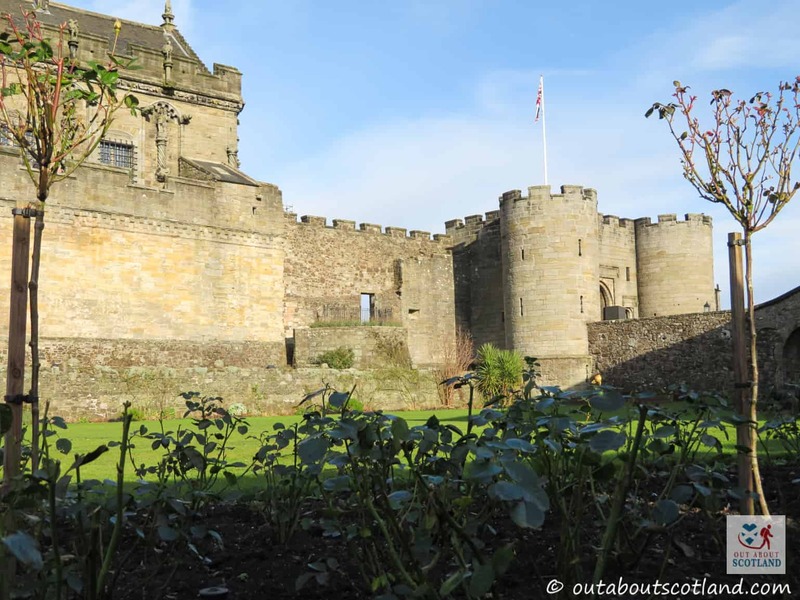 And the castle’s past is made all the more real thanks to the tour guides dressed in character costumes who’ll be only too glad to recount some of the intriguing tales of power struggles that happened within the palace’s walls over the last 500 years. 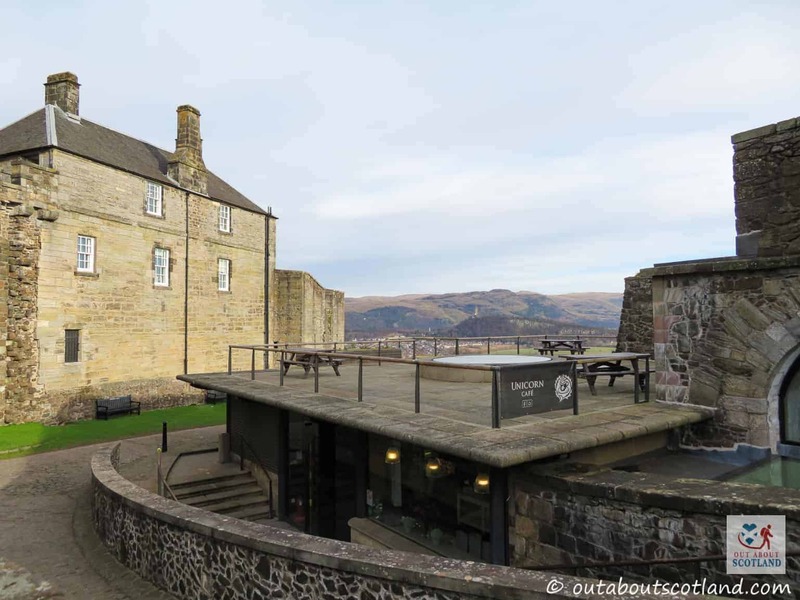 The castle is also famous for its ghosts, and there have been frequent reports of a ghostly female figure dressed in green roaming through the castle’s corridors, while many tourists have reported seeing a man dressed in full Highland garb walking around in the shadows. 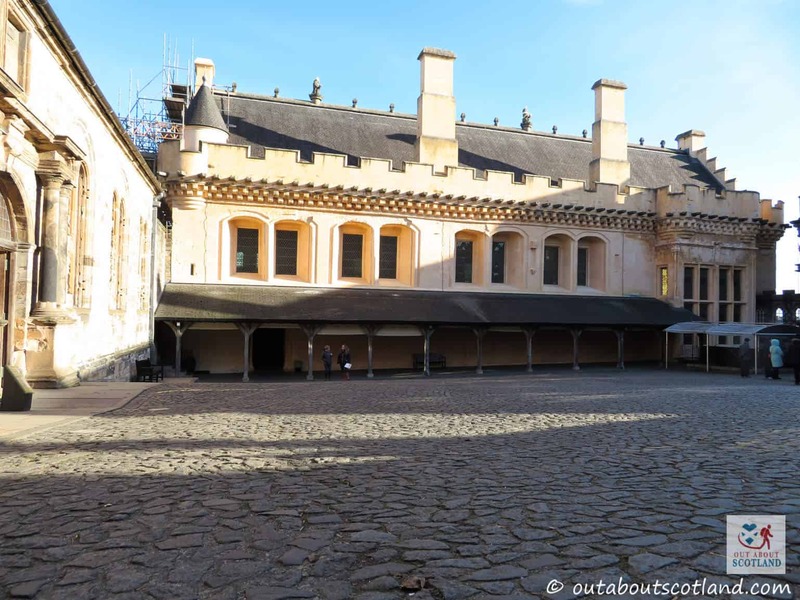 As he’s so elaborately dressed most visitors think he’s a tour guide so they wander over to talk to him, but rather spookily the Highlander simply turns in the other direction and walks away, before completely vanishing into thin air! 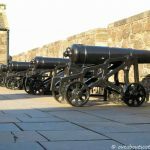 Buy your tickets online in advance for the best prices.